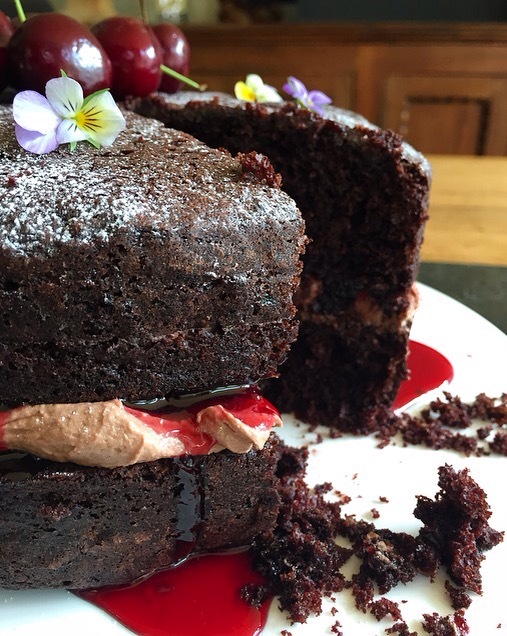 Ok so it’s not your typical summer cake but chocolate doesn’t have seasons! I guess this would be a typical comfort cake but hey, who needs a reason for chocolate. This all came about when a girlfriend mentioned chocolate cake, I remembered seeing this recipe in one of my cookbooks, It took me awhile,but then I remembered where I had seen it!! 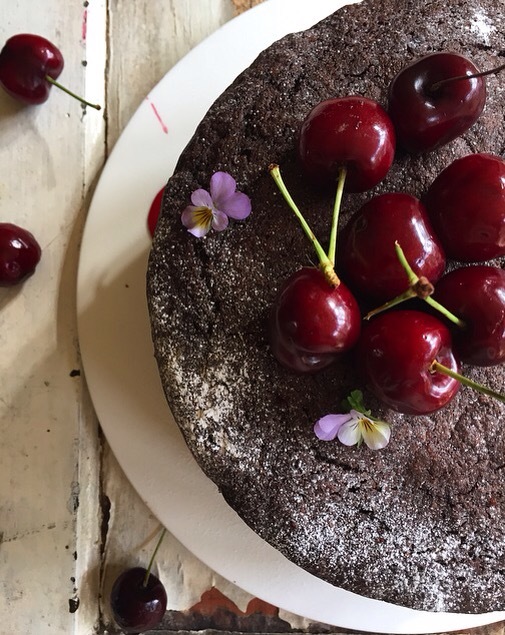 It’s from Bill’s Cook Eat Smile which is a great book and anything I’ve tried has worked a treat, including this beautiful chocolate cake. It’s very simple and I would say fail proof, it worked perfectly and tasted absolutely delicious, you can’t taste the beetroot but it adds something that has put this recipe straight on my family favourites list!! It will definitely be my new go-to chocolate cake, anytime of the year! Celebration or commiseration or just afternoon tea, this cakes a winner!! I didn’t take photos as I went along and I was going to wait until I made it again but I am to much of an eager beaver to wait until I bake it again before I share it! The recipe hasn’t been tweaked at all but it has been tried, tested and tasted! And pasted with flying colours! You will need to get ahead with the beetroot so get it cooked and prepared allowing approximately an hour for cooking and cooling. Once your beetroot is ready you can get on with the cake. The edible flowers in the photo are not essential I’ve used them because I have them in my garden and at the moment I’m using them at every opportunity!! Once you have got the beetroot ready your ready to mix the cake. Beat the sugar, eggs and oil together, either by hand or a food processor. Add the grated beetroot and cocoa and blend well. Then sift in the flour and bicarbonate of soda and mix again. Divide the mixture between the cake tins, smooth the mixture. Bake for about 35 mins, until the cake feels springy. Remove from the oven, let them cool in the tin for 15 mins then turn them out on to a cooling rack. At this point you can make the butter cream for the filling. Sift the icing sugar and cocoa together, beat in the butter, add the milk and beat again, you can add more milk if you think it needs it. When the cakes are completely cold, lay each on flat side up, cover one with the butter cream, the other with the cherry jam, then sandwich them together. Finally dust with icing sugar or decorate as you choose. This really is a delicious cake and I think everything you could want from a chocolate cake! If you know a chocolate lover then you have to make them this cake, don’t wait for a reason!